Fancy a light snack or a quick meal? 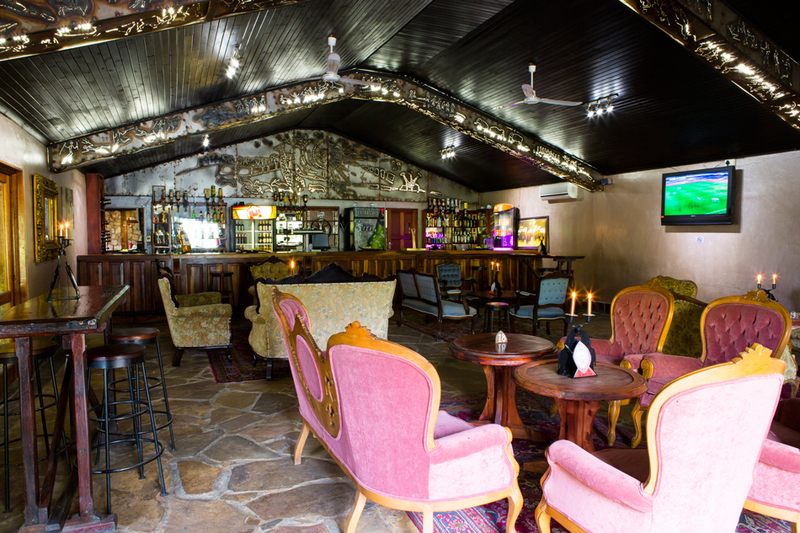 Enjoy a variety of hearty pub food as well as healthy salad options, great coffees and delectable cakes/pastries! Indoor and outdoor seating is available. 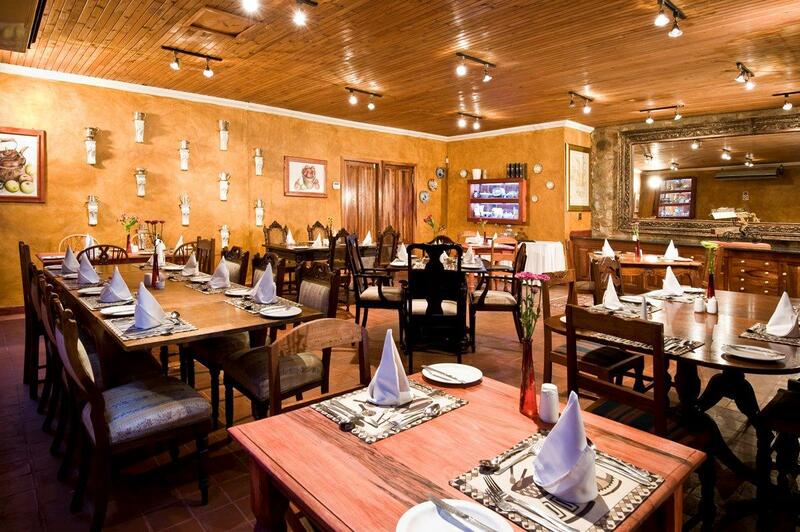 This versatile and welcoming eatery can accommodate both a la carte and buffet styled menus. 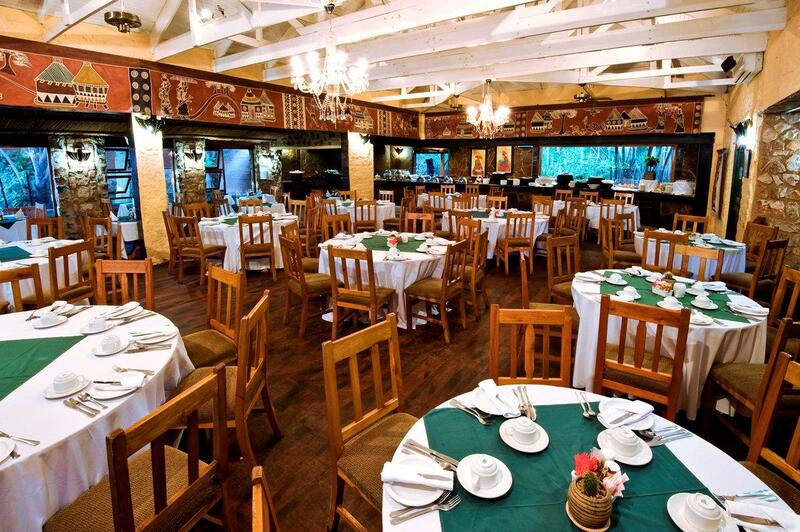 The Summerhouse Restaurant features wooden floors and large windows overlooking our botanical gardens and can seat up to 130 guests. 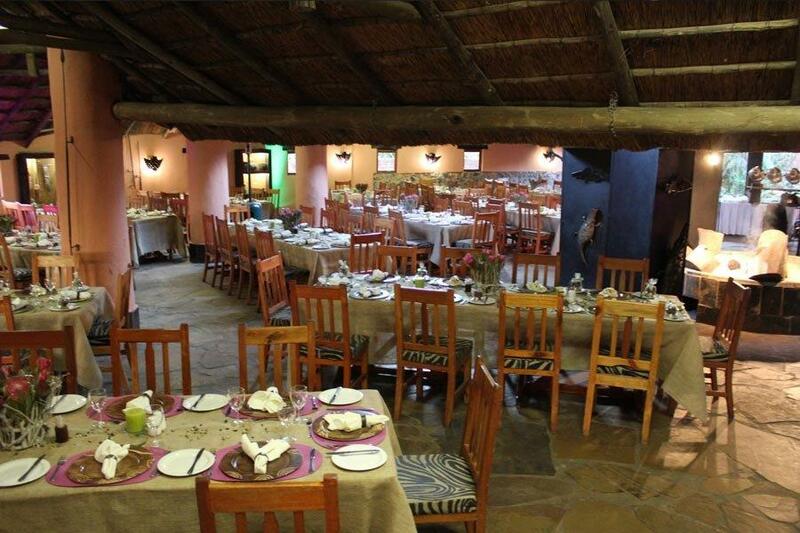 For relaxed buffets or formal functions around a central fireplace, the authentically African Boma can accommodate up to 200 people. The feast begins with delicious homemade soup and honey bread. 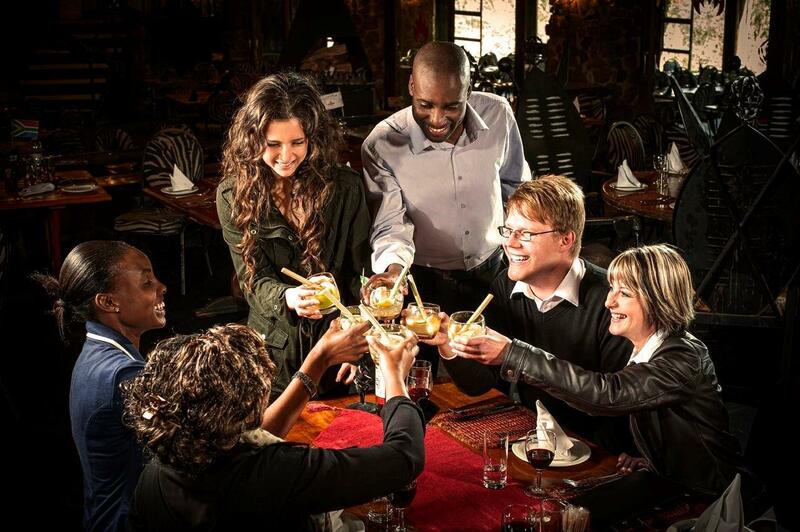 While you sip on a ‘Dawa’ (the traditional house cocktail of vodka, honey and lime), a Lazy Susan with a small flag on top, is placed in the centre of your table, bearing six different fresh salads and various sauces to compliment your meal. 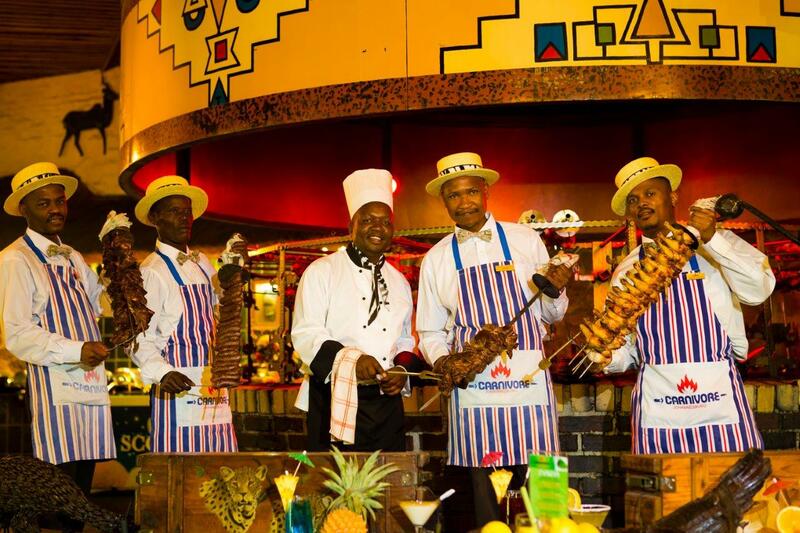 Waiters circulate wielding Masaai spears with a wide variety of game and domestic meats, ranging from beef, chicken, boerewors and pork to ostrich, kudu and crocodile, to name just a few - all charcoal-grilled and expertly carved directly onto your hot cast-iron plate. Traditional ‘pap’ and sauce, and a baked potato accompany this sumptous meal. You may eat as much as you wish, and when you have had your fill, you surrender by lowering the flag! 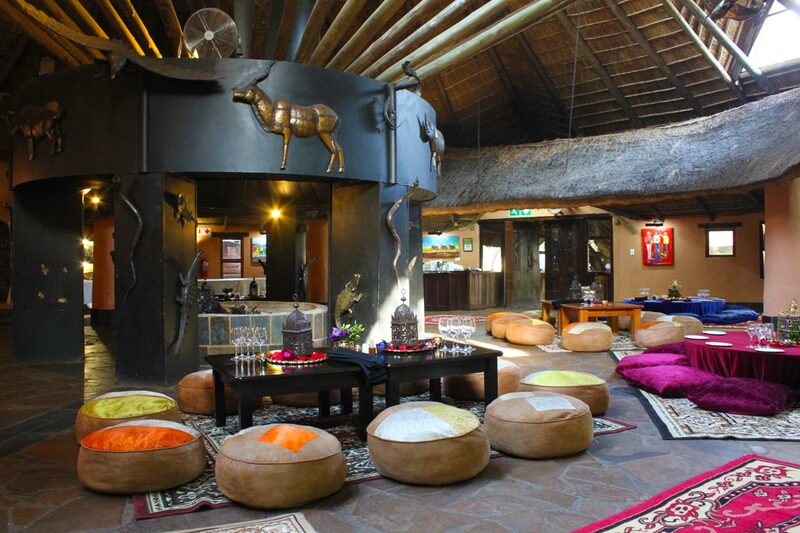 To fininsh off the meal, there is a selction of delicious desserts, accompanied by tea or coffee. Come and enjoy a "Beast of a Feast" !